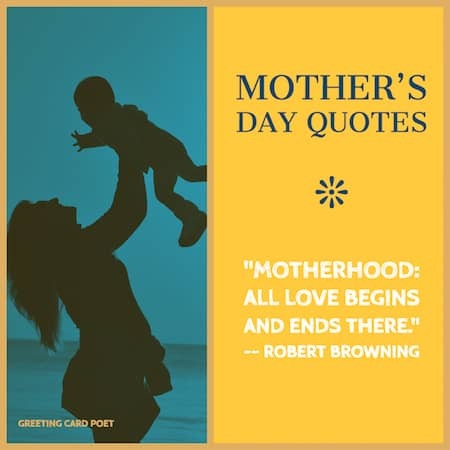 Mother’s Day quotes for cards, letters, texts, Facebook posts and more. To express your feelings about your mom, it might help to see how others have described their first teacher and confidant. You sacrificed for us. You’re the real MVP. My mother had a slender, small body, but a large heart—a heart so large that everybody’s joys found welcome in it, and hospitable accommodation. Motherhood: Inspired by love; powered by wine. And remember that behind every successful woman is a basket of dirty laundry. Silence is golden. Until you have children. Then silence is just worrisome. Mothers can look through a child’s eyes and see tomorrow. 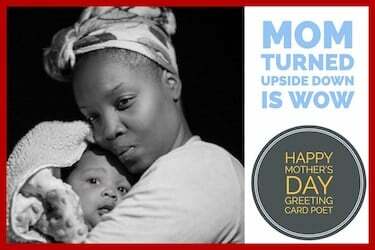 Click on graphic above for our main “Happy Mother’s Day” page. If mothers were flowers, I’d pick you. Motherhood is the exquisite inconvenience of being another person’s everything. Mother is one to whom you hurry when you are troubled. 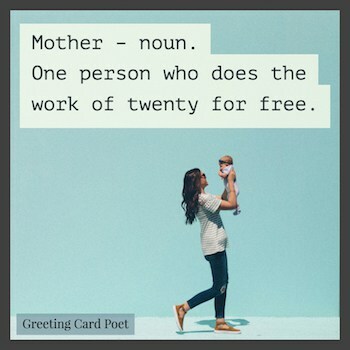 Once you sign on to be a mother, that’s the only shift they offer. I smile because I’m your daughter; I laugh because there’s nothing you can do about it. A daughter may outgrow your lap, but will never outgrow your heart. Being a full-time mother is one of the highest-salaried jobs — since the payment is pure love. I will look after you and I will look after anybody you say needs to be looked after, any way you say. I am here. (And) I brought my whole self to you. I am your mother. Nothing is really lost, till you mom can’t find it. You’re the mom everyone wishes they had. 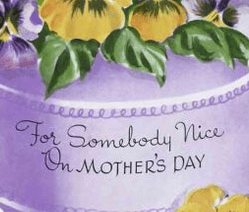 Check out messages to send your sister for Mother’s Day. You’re on Mother’s Day Quotes page. Please click on graphic above for Mom images and memes.